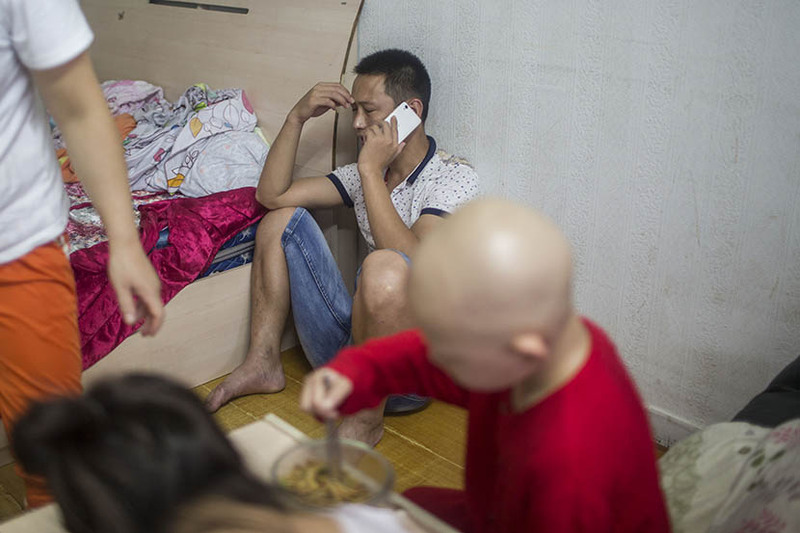 Medical migrants rack up millions of yuan in health bills to cure kids of leukemia. 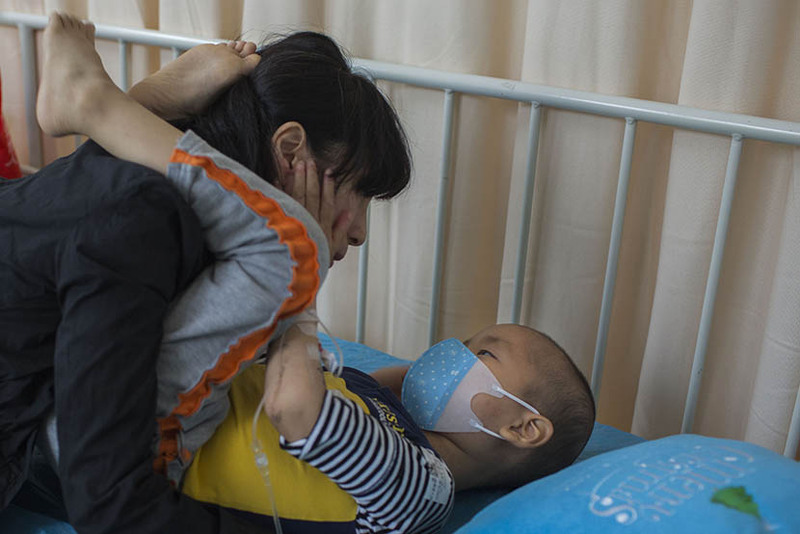 Six-year-old Wu Hao has had leukemia for nearly three years. 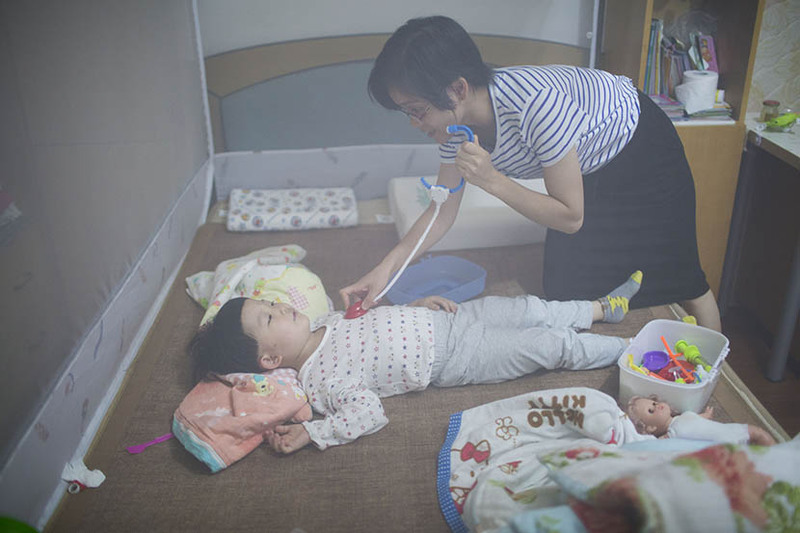 On a doctor’s recommendation, Hao’s family moved to Shanghai, one of the few cities in China where patients can expect to receive top-quality medical care. 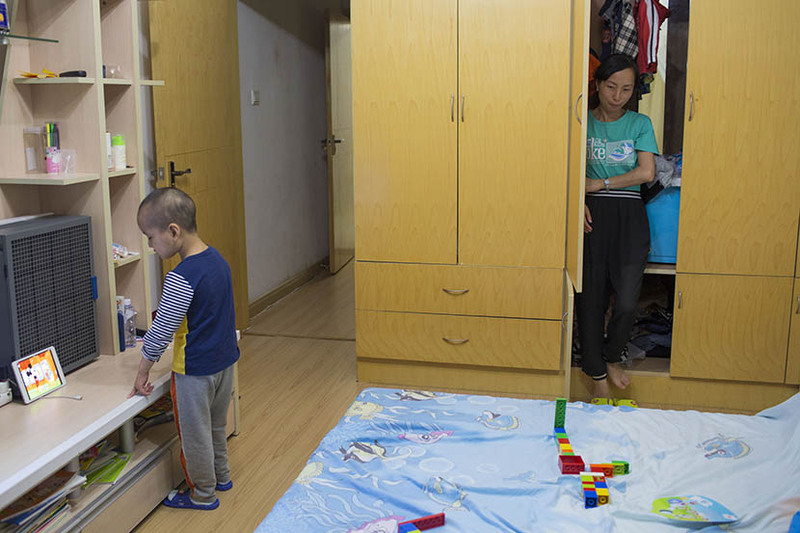 Living in as-cheap-as-possible housing, families like Hao’s have created veritable “medical villages” inside the city. On the first day of the Chinese New Year holiday in 2014, Hao’s left eye appeared swollen. 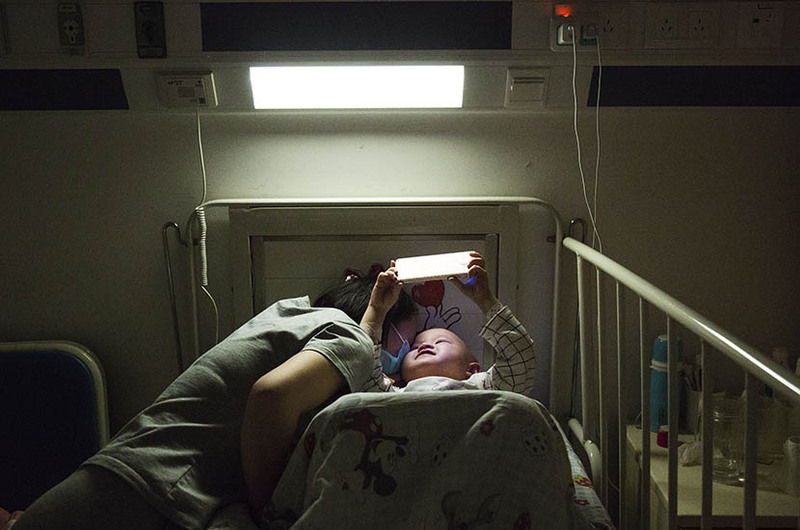 His parents took him in for a checkup at a local hospital in Wenzhou, Zhejiang province, in eastern China. 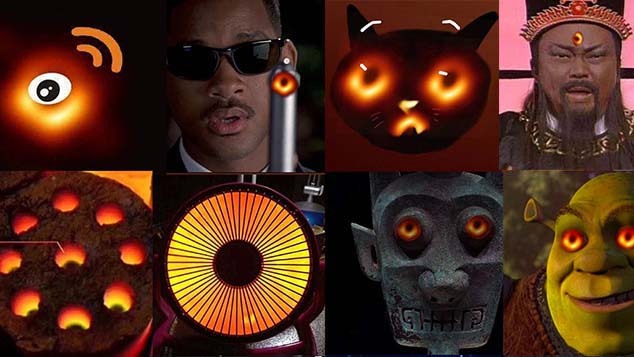 The test results came back next day. The doctor wasn’t sure if Hao had glioblastoma multiforme — an aggressive form of brain cancer — or leukemia, but suggested that regardless he needed to go to a better hospital in a big city. 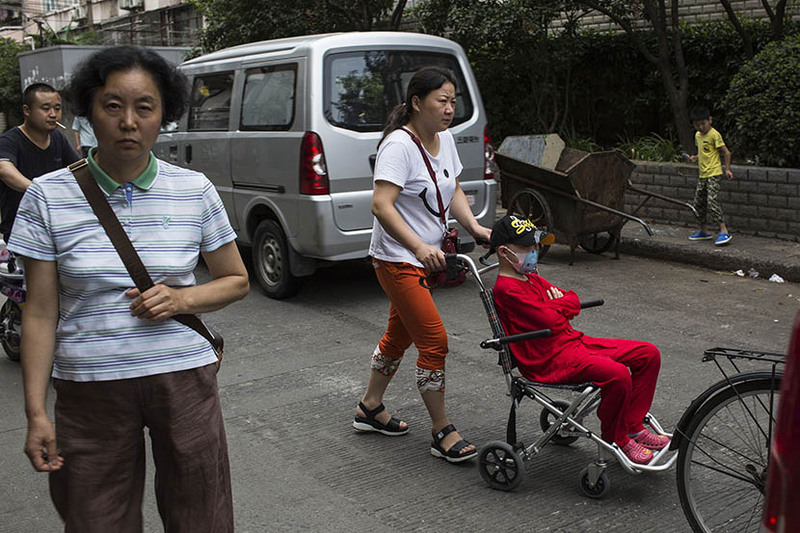 “It really killed me to see him suffer so much pain at such a young age,” Hao’s mother Jiang Yueshu recalled. 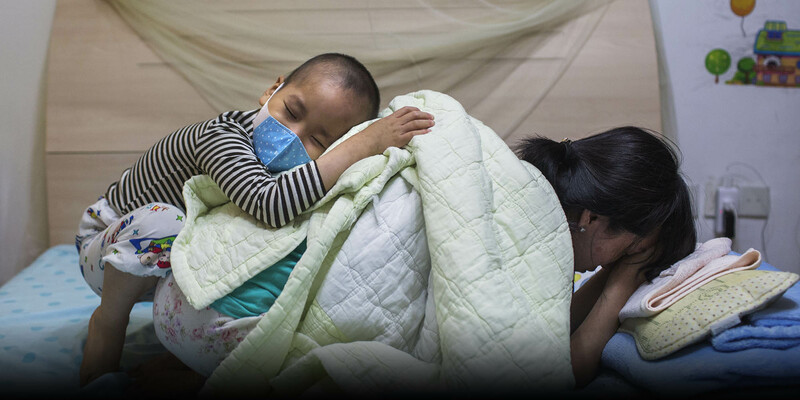 Soon after the family arrived in Shanghai, the diagnosis was confirmed: Hao had leukemia. The family moved into a small one-bedroom apartment on the seventh floor of a high-rise with no elevator. 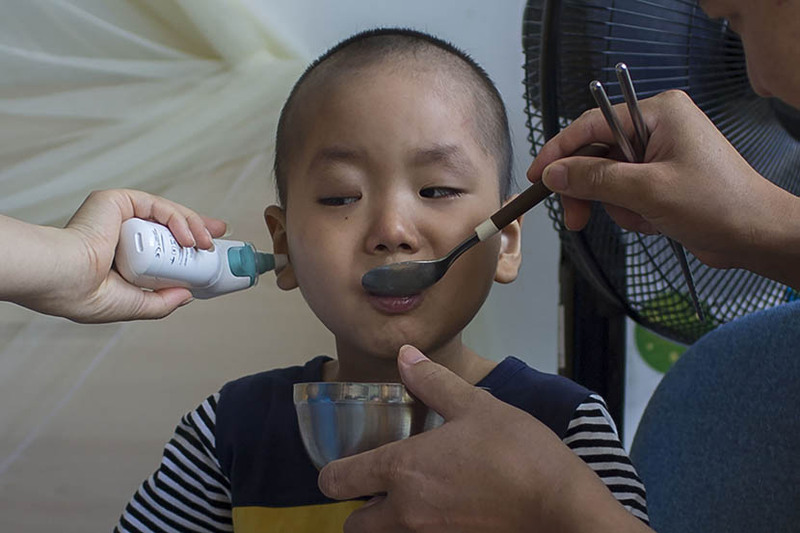 Though cramped and far from ideal, the house was just a 20-minute walk from the Shanghai Children’s Medical Center (SCMC), where Hao would receive his daily treatments. 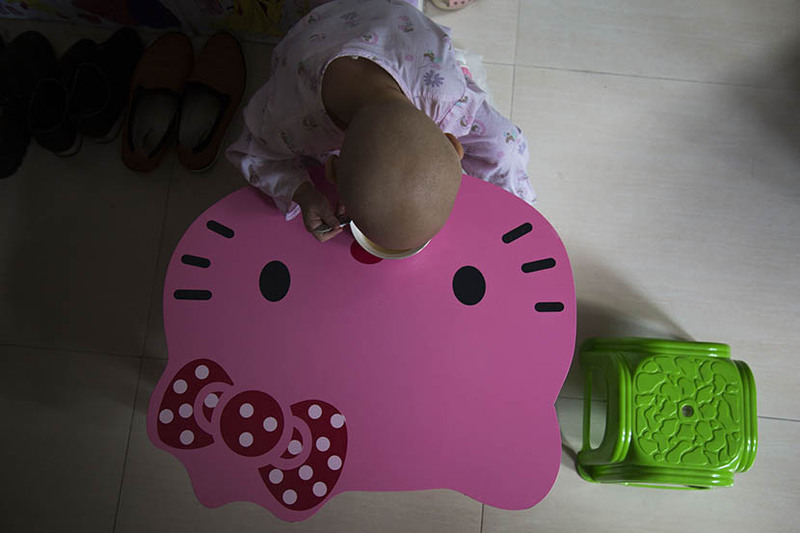 Every morning, the family would get up at 6 o’clock and, after a quick breakfast, accompany Hao — who by that time was using a stroller — to the children’s hospital. 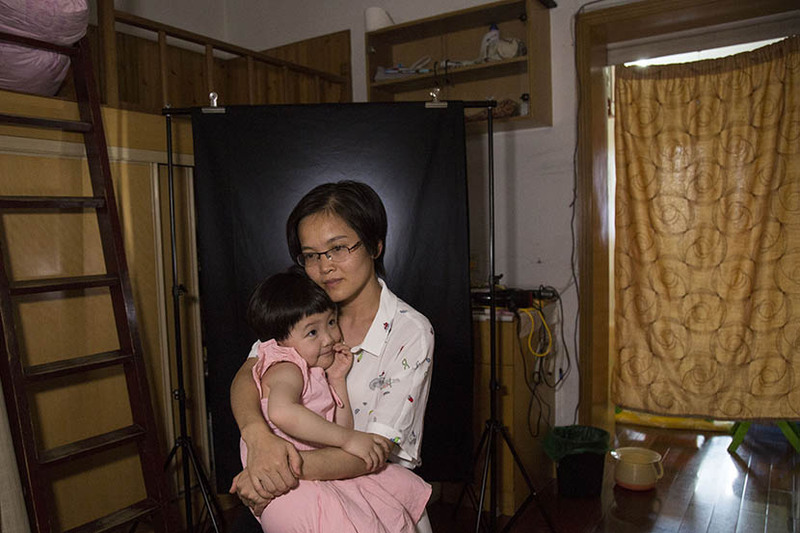 “We have been living this life for three years: home, hospital, and home again,” said Jiang. Hao and his family are not alone. 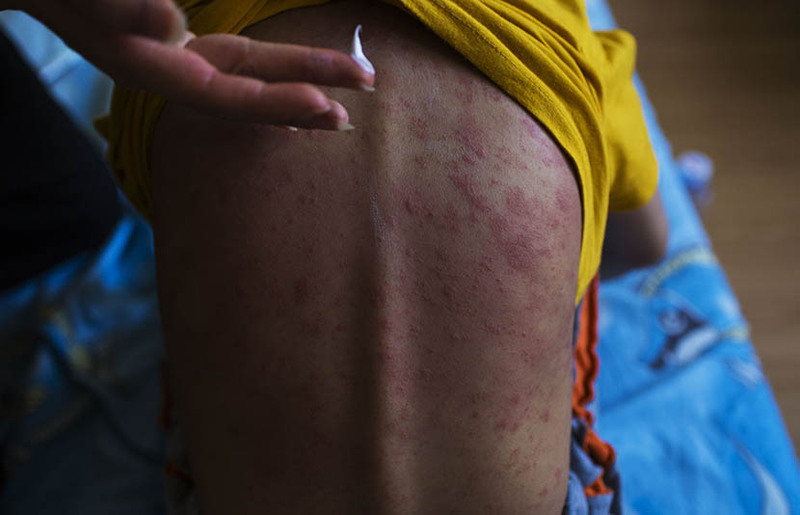 According to the hematology department at SCMC, the hospital admits 600 new patients each year, with 80 percent coming from outside Shanghai. Many families rent one-bedroom apartments within reasonable walking distance of hospitals. With so many patients in these areas, they start to resemble giant outpatient wards. 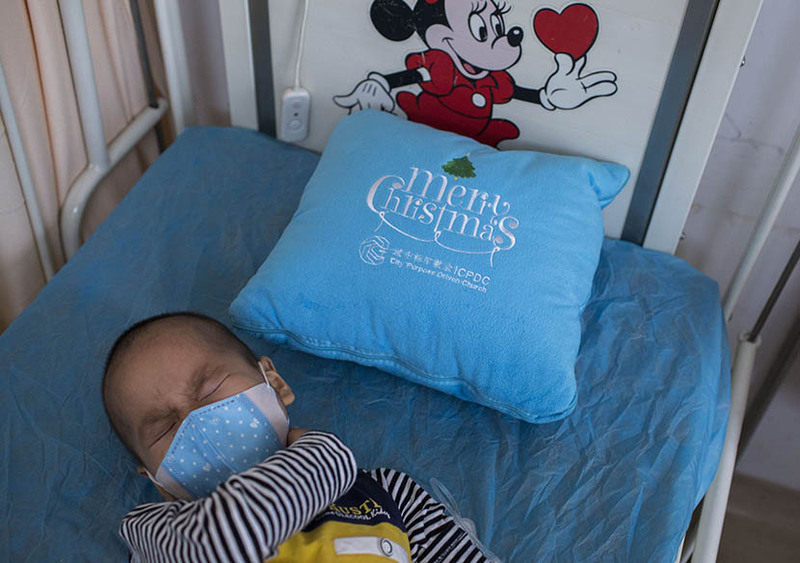 “In the morning, you can see lots of parents rolling their children to the hospital,” said Zhang Jianming, a parent from Jiangxi province whose daughter also receives treatment at SCMC. The cost of seeking better care and better facilities in the big city is a huge burden for rural families. 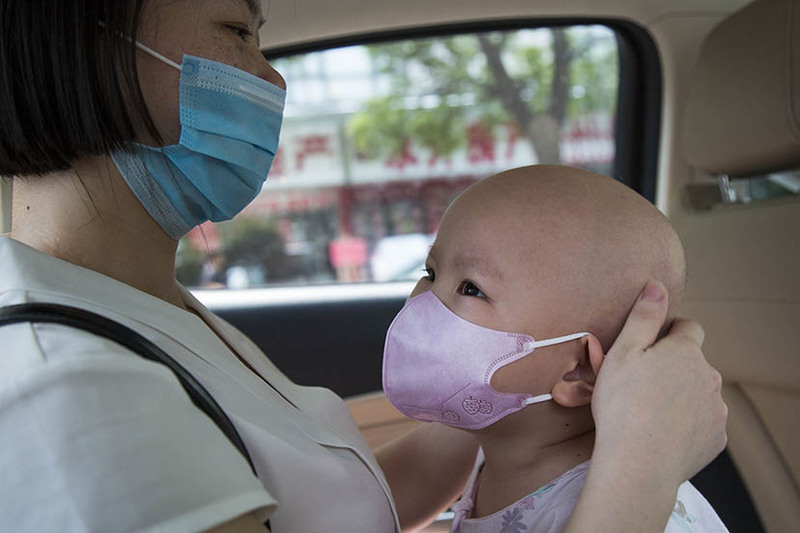 Depending on the duration of the treatment regimen, they can rack up medical bills in the millions of yuan, and government health plans usually only cover a fraction of the cost of treatment received outside of a patient’s home province. 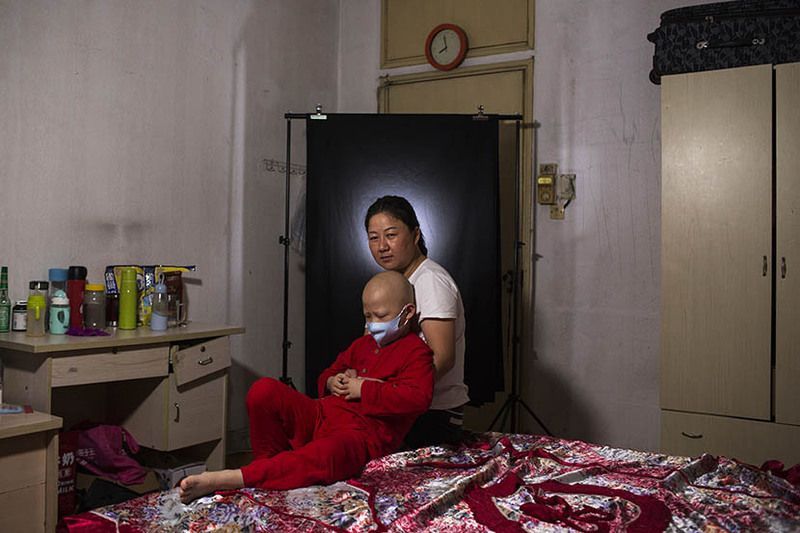 In 2015, Jiang Yueshu received bills of more than 320,000 yuan ($48,000) for Hao’s treatments, of which government health insurance covered 123,629 yuan, or 38 percent. 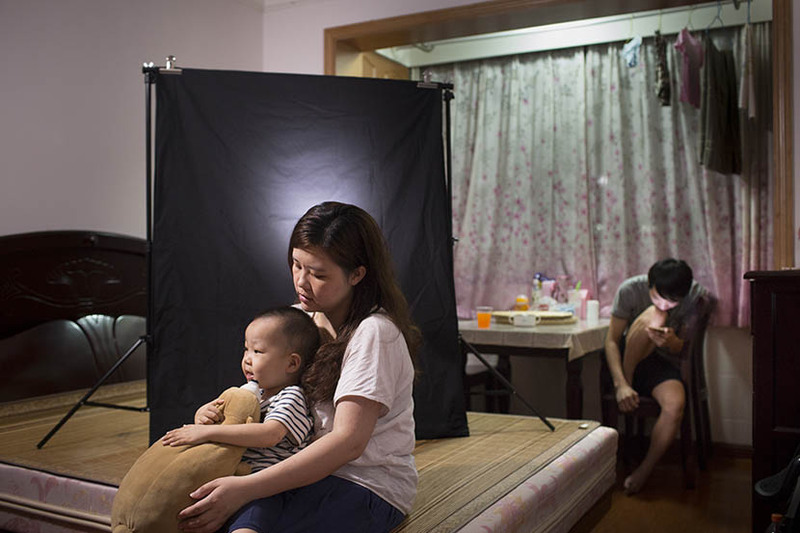 When families pack up and move to cities like Shanghai, the parents inevitably have to quit their jobs to take care of their ailing children. For the first couple months of treatment, many manage to pay rent and medical bills by exhausting their savings or borrowing money from other family members or friends. 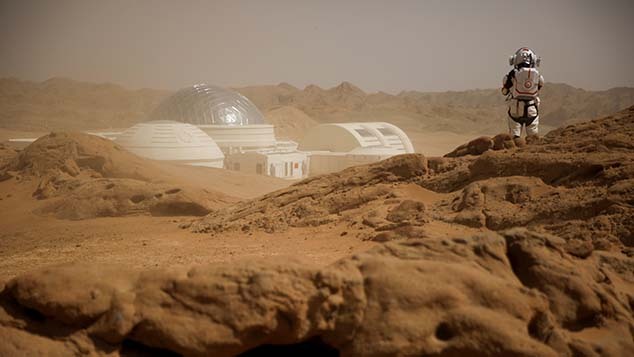 Problems arise when these usually limited funds dry up. 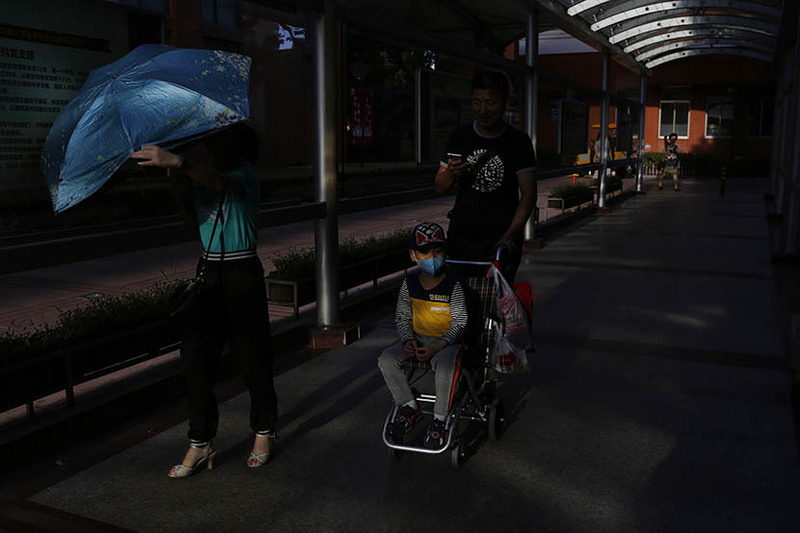 Gu Lin, from eastern Anhui province, budgeted 400,000 yuan for her son’s treatment in Shanghai. 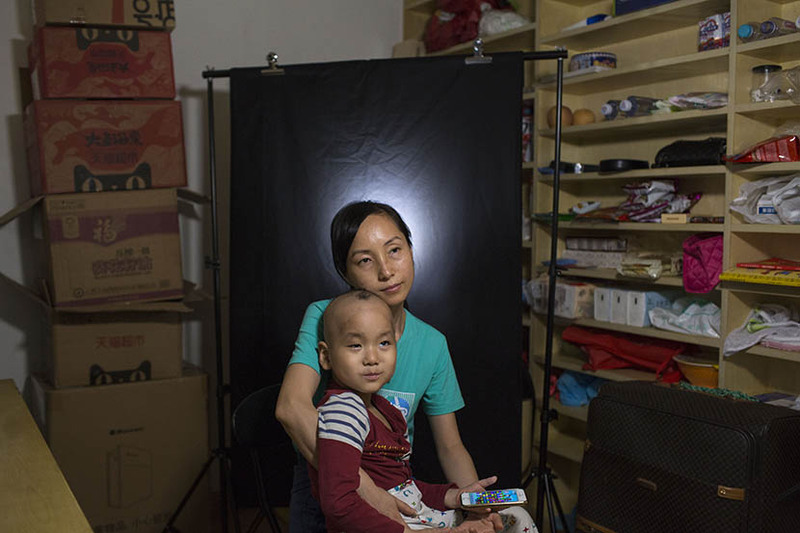 Her 8-year-old son Yuang was diagnosed with leukemia at a hospital in their hometown back in March. They packed up and went to Shanghai later that month. 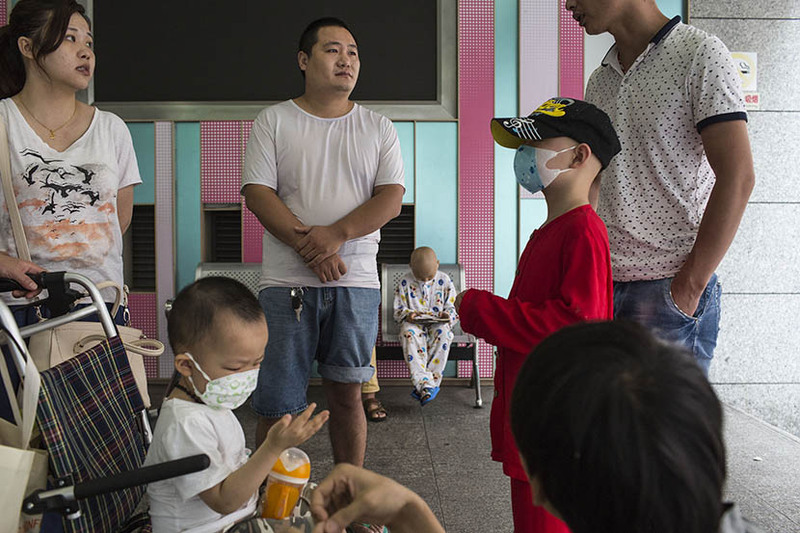 Yuang was scheduled to receive 10 treatments. 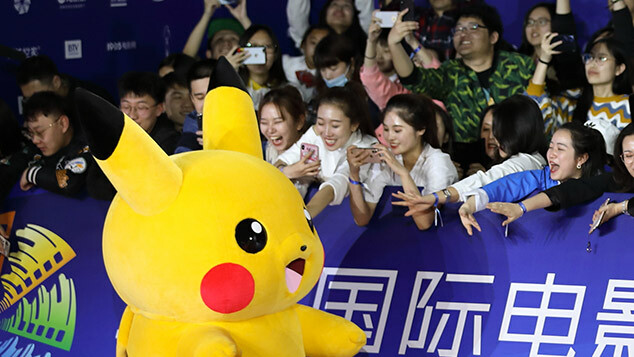 Now halfway through, the family has already spent 300,000 yuan. 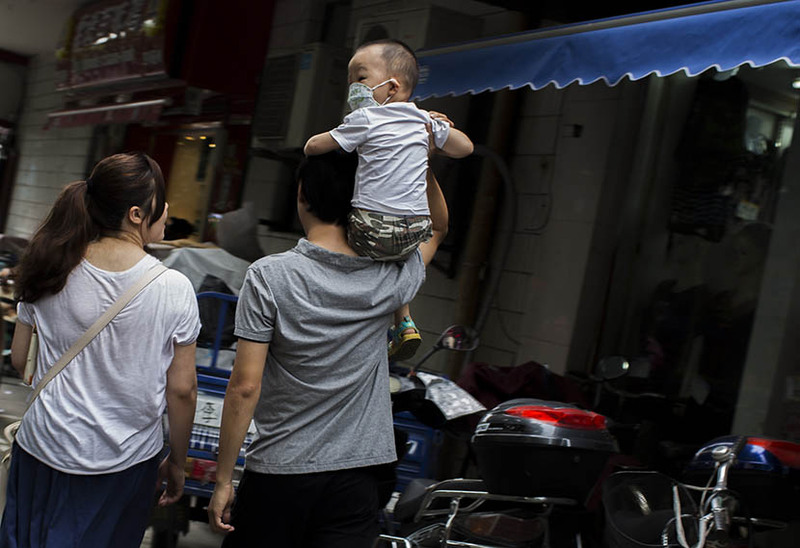 During the summer break, their first child, 10-year-old Minghui, came to visit. She brought rice, oil, and other staples from home. 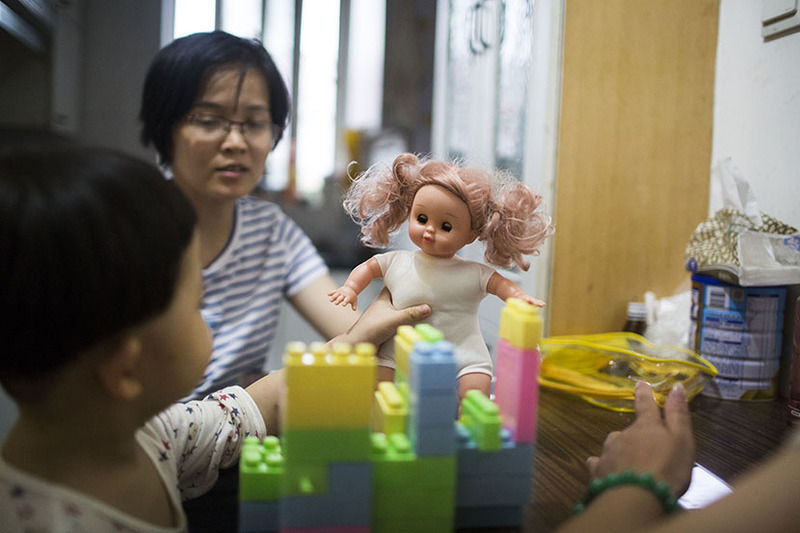 “Things are much cheaper at home, so we asked our daughter to bring as much as she could carry,” said Gu. Gu has managed to secure a part-time job doing cleaning work at a restaurant near their temporary home in Shanghai. 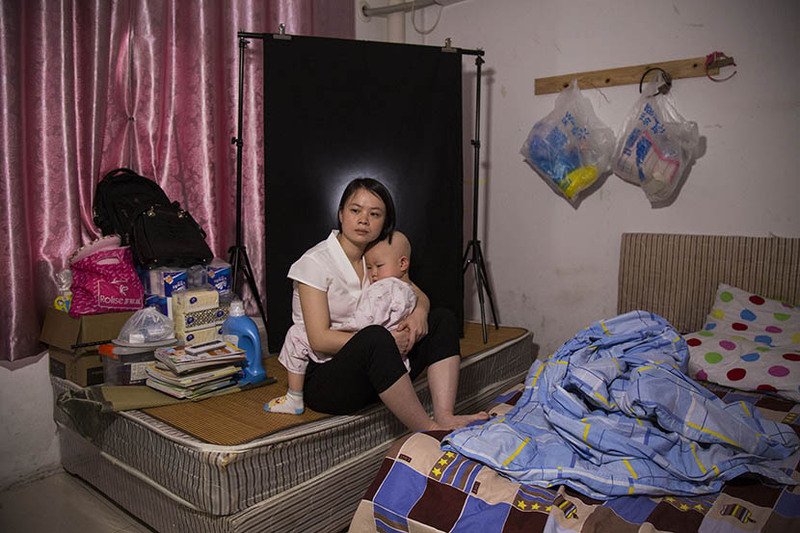 For the one hour she works in the morning, she is paid 30 yuan. “That will cover food for a day,” she said. 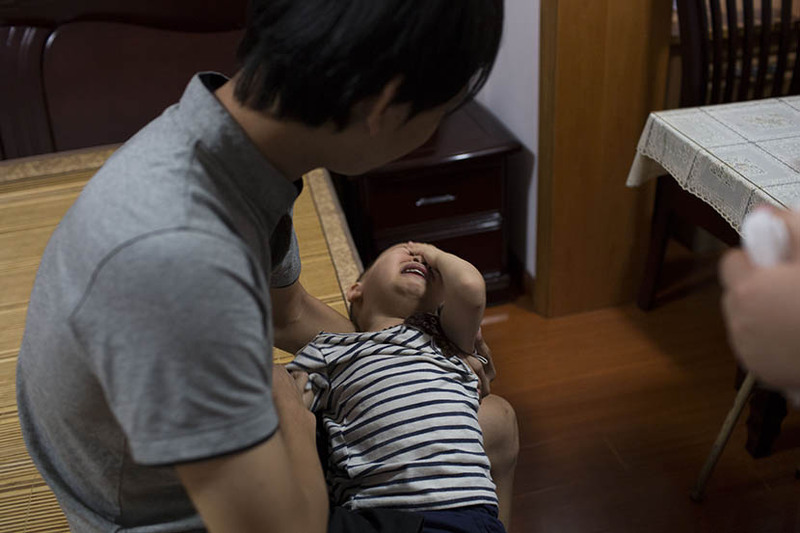 17/21 Huang Qiang holds his son Zixuan, who does not want to take his daily medicine, Shanghai, Aug. 5, 2016. 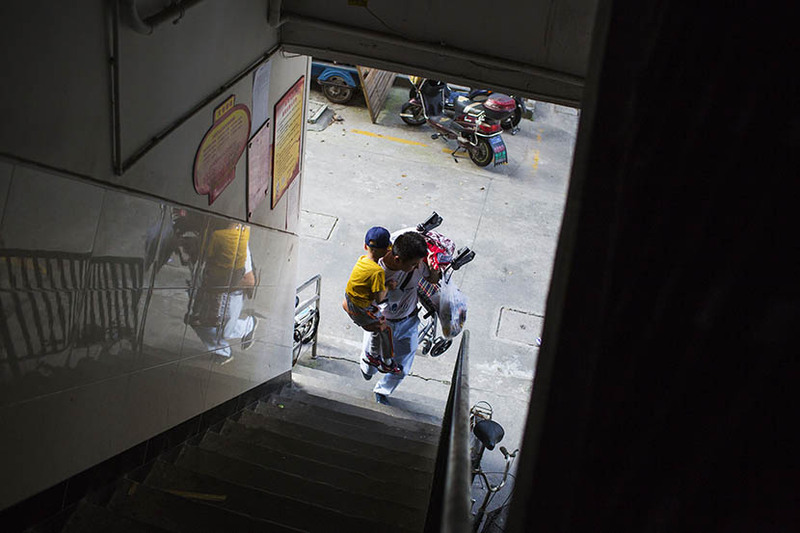 18/21 Huang Qiang carries his son Zixuan home from the hospital on his shoulders, Shanghai, Aug. 5, 2016.